Do you know someone who has lost a loved one? It’s always hard to know what to do when someone you know is grieving. A card or flowers doesn’t seem like enough. We are doing our first promotion day for my book on Friday, and you can gift my book to a friend that day for free. My mission for this book is to help people heal from the loss of a loved one, and to be able to love again. Gifting the book, or downloading it yourself on Friday, helps give the book a boost on Amazon’s sales charts, making it more likely to be seen by potential readers. Please help spread the word. It’s a wonderful gift to send someone who has recently lost a loved one, human or animal, as the lessons about grieving are universal. Families are reading it together to help deal with a recent or upcoming loss. Right now it’s only available on Amazon for Kindle (and Kindle apps). Even if you don’t have a Kindle, you can read a Kindle book on any computer with their free software. 10% of all sales through May 31 will be donated to the San Diego Humane Society/SPCA. 13 inspirational essays. 13 delicious recipes. 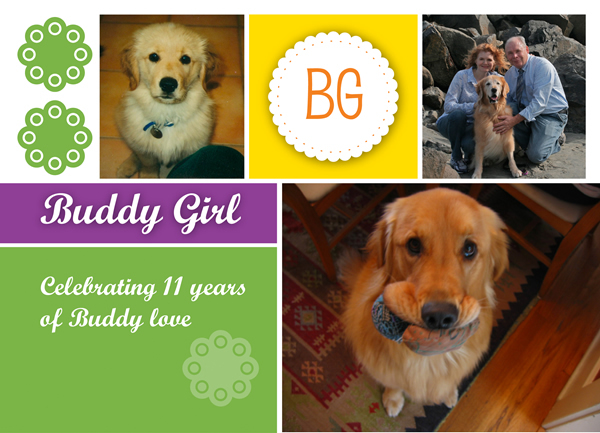 This was truly a labor of love, a testament to the joy that Buddy Girl brought us, and I hope you enjoy it. 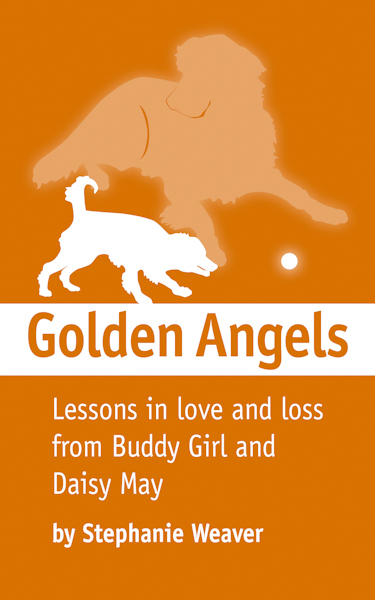 If you are a pet lover, please join the Golden Angels community on Facebook, and share photos and stories of YOUR beloved pets (past or present). Cat lovers welcome! Wonderful! Congratulations, Stephanie. We look forward to reading it. I’m glad to know about this, and will share with my readers who may being going through their own losses. Felt like I should mention that I’m hosting a book giveaway this week on my blog for one lucky reader, please feel free to enter if you’re interested. Animal lovers world-wide will enjoy this one.